Rumors are Flying, Driscol is a Heretic? 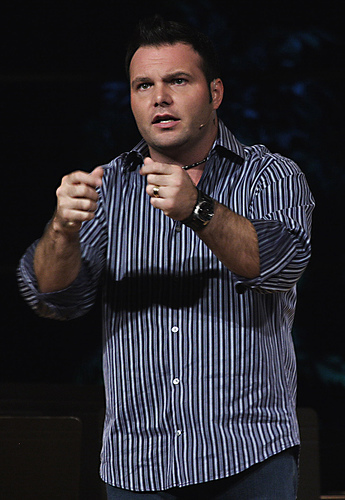 Mark Driscoll may not be as hip as was once thought. 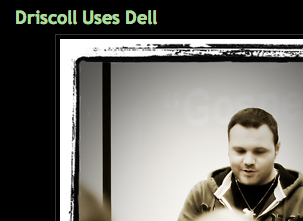 Driscoll, the co-founder of Acts 29 and lead pastor of Mars Hill Church in Seattle, WA, was reportedly seen using a Dell laptop at the A29 Boot Camp recently held at Trinity Evangelical Divinity School. During the fifth session, led by Mark Dever, Driscoll sat in the back of the A. T. Olson Chapel working on a Dell laptop. Long assumed that someone of Driscoll’s “cool” factor– which goes up to eleven– would be a Mac user, many of the Boot Camp participants were floored. I’ve been trying to finish this for a few days. But I thought I’d just come out and post it (so you’re warned I’ve only been 3/4 of the way through it). But what I’ve heard so far, it is very good. His point is, worship is not a peripheral issue, it is the issue. Failure to keep God’s moral commands are symptoms of a worship problem. I think it’s worth everyone’s time to download and listen to this. Who is this guy? Mark Driscol is starting to sound like he should be posting on SharperIron. Have a low view of Scripture and, consequently, the deity of Jesus. Deny that we were made male and female by God, equal but with distinct roles in the home and church. Ordain liberal women in the name of tolerance and diversity. Have those liberal women help to ordain gay men in the name of greater tolerance and diversity. Accept the worship of other religions and their gods in the name of still greater tolerance and diversity. Become so tolerant that you, in effect, become intolerant of people who love Jesus and read their Bible without scoffing and snickering. End up with only a handful of people who are all the same kind of intolerant liberals in the name of tolerance and diversity. Watch the Holy Spirit depart from your churches and take people who love Jesus with Him. Fail to repent but become more committed than ever to your sinful agenda. See Jesus pull rank, judge you, and send some of your pastors to hell to be tormented by Him forever because He will no longer tolerate your diversity.